I have done much investigation this month. Firstly, I have been working on the relationships between loom, computer type, computer program, weave program. My old computer died before January. This meant a new computer or using my newish lap top. The “marriage” between all components I’ve discovered is critical. I tried several combinations. Thank heavens for a very understanding second hand computer retailer (Australian Computer Traders) who was prepared to keep swapping till I hit on the right combination. 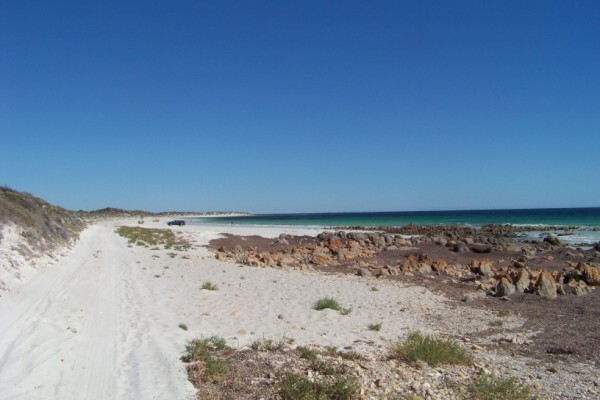 It also meant a weekend away to South Australia and my weaving mate Kate Holmes who also has the same loom where I could confirm what I had analysed. I now have a working loom again. I discovered that my old loom (Noble of over 10 years) works best with an older computer program (XP) on a desktop as opposed to a lap top with not the latest weave program. I have discovered that it is the balance between all components that is critical. 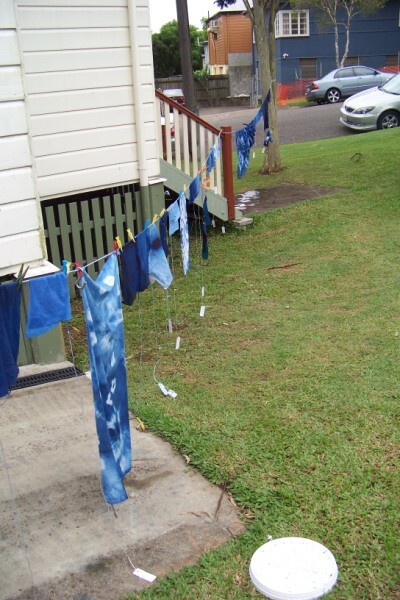 The Experimental Dyers, a group of the Qld Spinners Weavers and Fibre Artists, conducted the “Great Indigo Experiment” Sheila Virgo and I collected a number of recipes and decided on a series of “experiments” to evaluate. The recipes are available on the “recipe page”. 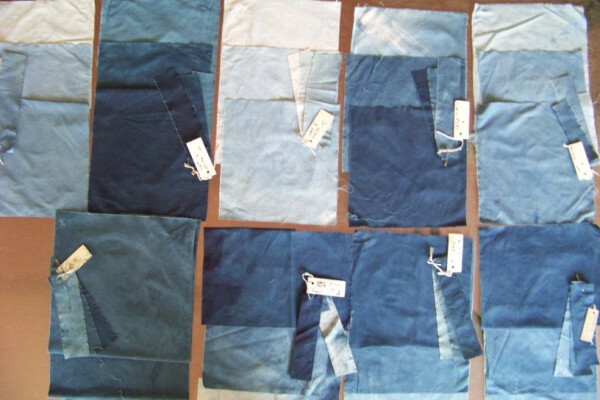 The first 5 were variations of one recipe using combinations of TUD/Hydros, natural/synthetic indigo and prepared the day before or the day of using. 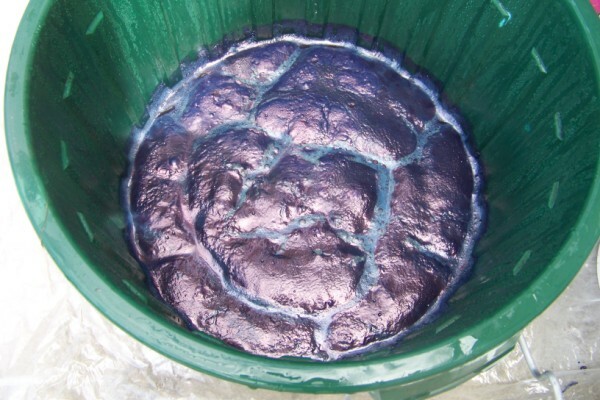 Number 6 uses gelatine and salt + synthetic indigo and hydros. Number 7 was a zinc/lime vat and we decided to do both natural and synthetic. The last one was a kit. Thanks also goes to Jane Postle and Dana McCown for their input. 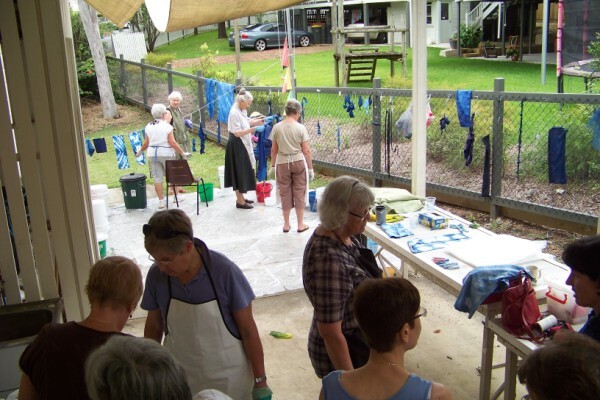 Members of the group arrived on Thursday afternoon to start preparing vats and fabric. 6 vats were prepared that afternoon with the remaining ones the next day. The dyeing began. It was great fun. All vats had a sequence of samples to be dyed (1, 3 and 6 dips of 5 minutes with 10 minutes between). This meant that we could evaluate our results and compare vats. 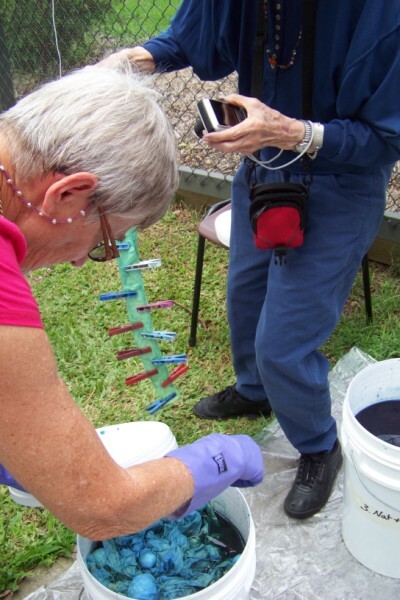 Once the vats were underway with the testing, “personal” dyeing could commence. A great number of pieces were dyed. Runners up: Second- Vat 2 (Hydros + Synthetic), and Third- tied between both Zinc/lime vats( natural and synthetic). Additional comments: It would be worthwhile to do a re-evaluation on vats 1, 3 & 5 using fresh TUD. The kit would be an excellent way to get new enthusiasts comfortable with the process, but from a technical point of view it was dissapointing with so much loss of colour. This was a great opportunity to investigate different recipes… and sometime I still want to try a couple of others I’ve collected. You are currently browsing the Kay Faulkner's Blog blog archives for March, 2011.